ELSIS General Intensive English course is recommended as the first step in language learning. For those just starting out with English, General Intensive English gives you a solid grounding in grammar and social and functional communication. General Intensive English allows you to improve your communication and conversation skills for everyday situations. Learn to communicate clearly and professionally, learn new vocabulary, idioms, and Australian culture. All of this takes place in a fun interactive learning environment. Our qualified teachers will help you speak English with confidence as well as read, write and listen with accuracy. 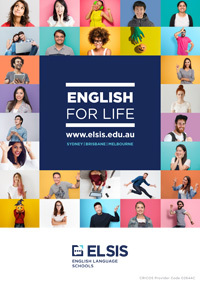 Why Study the General Intensive English Course in Sydney/Melbourne/Brisbane with ELSIS? Individual tutorials available throughout the school week. * At times ELSIS may not be able to offer all levels or timetables.